The experience: Mission SPACE takes you on a trip to Mars. When you enter, Gary Sinise assumes the role of your trainer. He briefs you on your mission and assigns a job to you. In your ‘pod’ of four, you’ll be responsible for part of the mission (pressing buttons on the console). In actuality, you’re not entering a spaceship–you’re heading into a centrifuge, the type of equipment astronauts use to train. Wait time: You’ll definitely want to grab a FastPass for this ride if you go early. If you head to it later in the day, you’ll have a 5-10 minute wait line (we went off-season in August). Tips: This is a great ride if you like to get dizzy (like on the tea cup ride) and spin around. To keep from getting too dizzy on the ride, you should keep your eyes open. If you get motion sickness, avoid this ride. There’s an ‘intense’ and ‘less intense’ level. The experience: Star Tours is the licensed Star Wars experience at Walt Disney World. After meeting some droids, you board a special starcraft. This ride has a total of 54 combinations due to its varying segments. After donning 3D glasses and buckling yourself in, things start to move in line with the movie. Wait time: Wait time (off-season) can be up to an hour in the morning. Hit this one late in the afternoon! Tips: Go on this one again. And again, and again. 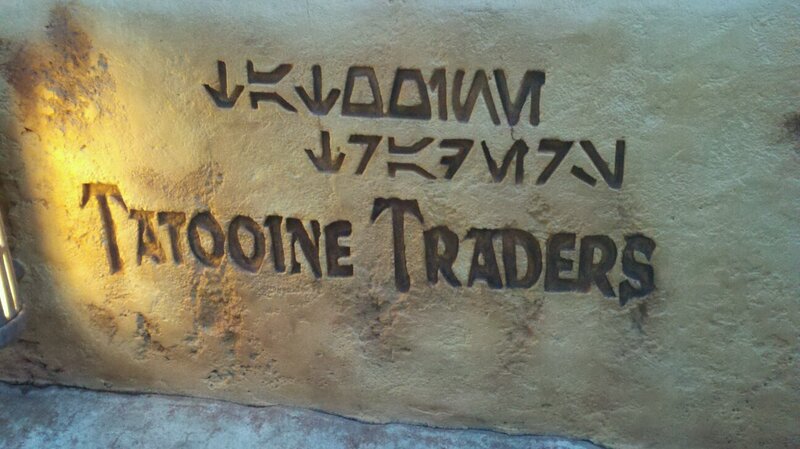 If you are afraid of spending a lot of money and you’re a big Star Wars geek, avoid the Tattoine Traders gift shop at the end. (You can find most things cheaper online.) This ride also gets busy during those flash downpours that occur frequently in Florida, so if you see one of those, pick another line. Those with extreme motion sickness or car accident-related PTSD should consider avoiding this ride. The experience: Spaceship Earth is a Haunted Mansion-style ride that takes place inside of the EPCOT globe. You sit in a console with a friend or family member and learn about living in the future; you can even design your own eco-friendly house. Wait time: Wait time is usually less than 30 minutes (off-season) and goes down to 5-10 minutes. Check back until you get a short line. Tips: This ride isn’t good if you have a fear of heights, but it’s very slow and relaxing. It’s a pleasant experience and a great way to learn about. The experience: Space Mountain is a classic ride. It has sharp turns, a ‘fast’ experience filled with matching lighting and sound effects. It’s definitely in the roller coaster genre. Since I’m not into abrupt drops or jerky rides, I didn’t go on this one, but my husband filled me in. Wait time: Wait time runs about 10 minutes for this ride (off-season). Tips: This ride is thrilling, but it’s not good for those with back or neck injuries. Got any additional opinions or advice on these great space geek Disney rides? Leave your comments below!